Have you ever wondered how to make glue? 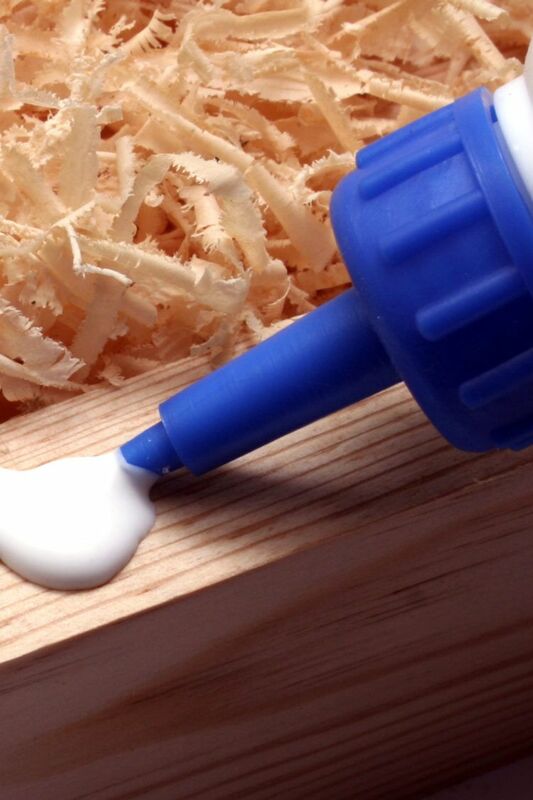 You can make your own homemade glue – even specialty crafting glues. Why would you want to do that? It’s not always much of a money-saver, but you can make exactly the glue you like in exactly the amounts you need. 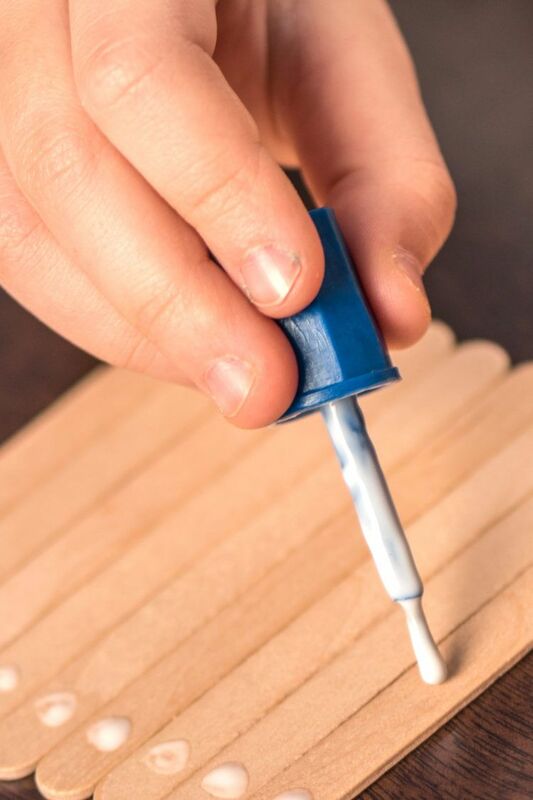 It’s true that store-bought glue is mostly cheap and effective, though some specialty glues are expensive and hard to find. So why would you want to make your own glue? With these homemade glue recipes, you might in some cases be able to make a better glue for your purposes. This is especially true if you’re doing an arts or crafts project with particular needs. And you won’t have to worry about store-bought glue drying out before you can use it up, so you end up buying more. When you make it yourself, you’ll rarely have any glue going to waste. Besides, learning how to make glue for yourself is a form of crafting. It’s fun, interesting and educational (many of these glue recipes are safe for kids to help with). You may want to get some reusable glue bottles like these I got from Amazon. They have a good size opening for refilling, and I haven’t had any trouble with leaking. They’re air tight, which keeps the glue from drying out or molding. And if you need some craft ideas to do with kids, check out Martha Stewart’s Favorite Crafts for Kids: 175 Projects for Kids of All Ages. It’s written for adults who are helping little kids (as young as 2) learn to craft. Recipes #2-4 are great for craft items like the super-cute Cotton Ball Sheep and the Paper Bag Puppets. You may want to start by learning how to make glue from those recipes. I’ve scattered some links through these recipes, and they all take you to the products I have actually used at some point. In many cases, I’m sure another brand would work well, too. I just wanted to make any shopping you have to do as easy as possible! Looking to get cash back when you shop online? Check out our Ebates review! Please note: we keep getting asked what glue would be safe to put on skin. We are not scientists and have no idea. Sorry. The most basic of the homemade glue recipes, which you may already be familiar with, is just made of flour and water. It tends to dry out over time and stop holding together whatever it was holding together, but it’s fine for, say, making decorations you only intend to keep up for a few hours. This is another basic glue recipe that works better than the flour recipe. It’s good for holding paper together without making ripples or bubbles. It works well for making a magazine holder out of a cereal box and paper. 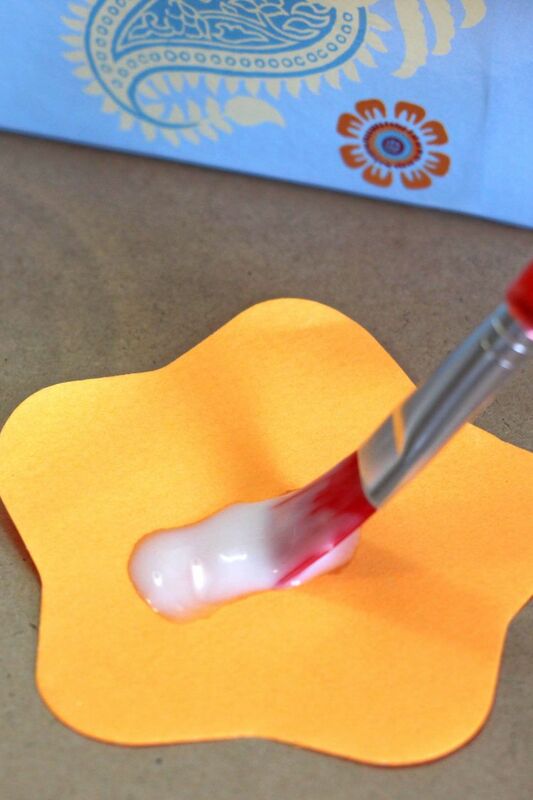 You can also make a glue stick out of it if you have an old glue stick container for it. Pour 3/4 cup of water in a saucepan over medium heat. Add 1/4 cup cornstarch, 2 tablespoons light corn syrup and 1 teaspoon white vinegar. Whisk the ingredients together until they’re blended well. 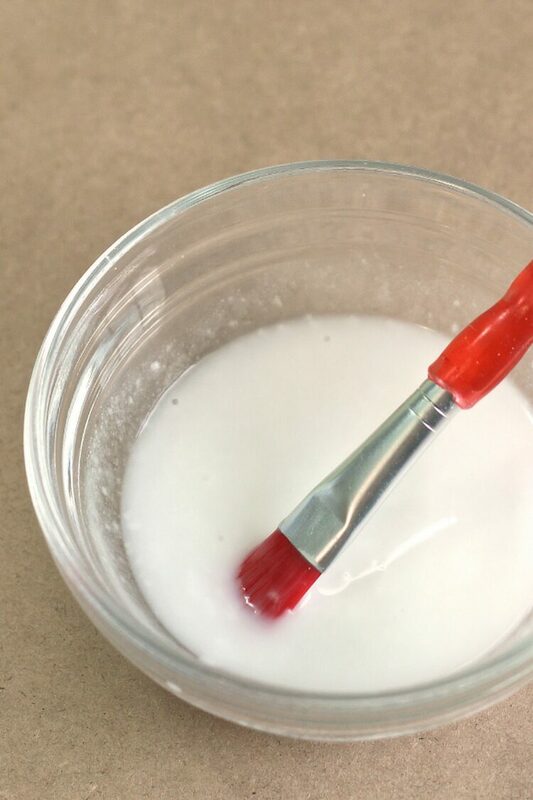 In the airtight container where you want to store your glue, whisk 1/4 cup cornstarch and 1/4 cup water together until smooth. Take the saucepan off heat. Slowly add the mixture from your saucepan into the container, and keep whisking constantly so everything blends together smoothly. This recipe makes a simple paste suitable for kids’ crafts. Slowly add cold water to 1/2 cup flour until the consistency is like heavy cream. Simmer in a saucepan for 5 minutes, stirring constantly. This paste will keep for several weeks. It’s perfect for gluing down layers of papier-mache or collages. Mix 1/4 cup of flour into a cup of room temperature water until the consistency is runny. In a large saucepan, heat 5 cups of water to a gentle boil. Stir your flour and water mixture into it. Gently boil for 2 or 3 minutes, stirring constantly. Put the mixture in an airtight container. Will keep about 1 year. 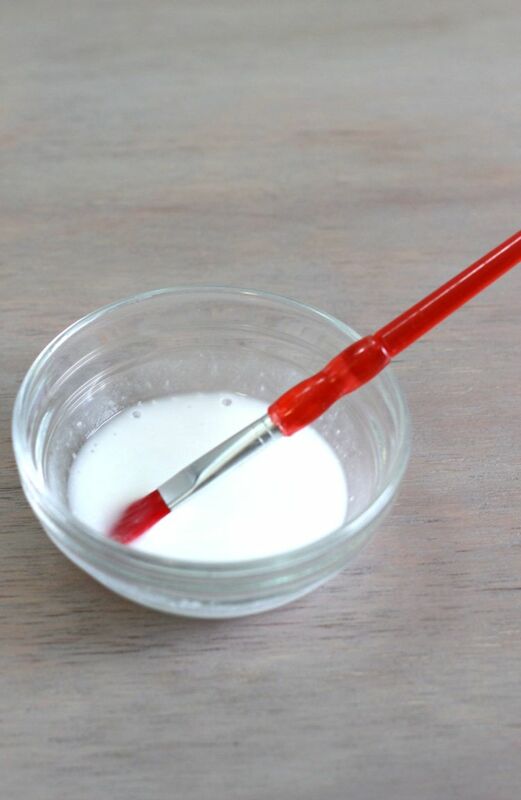 To Use: Apply a thin coat of the glue to each surface and fit the pieces together. Hold firmly until the glue dries – this could take an hour or so. Let the piece dry thoroughly (24 hours) before washing or using. If you making your own envelopes, you’ll need lickable glue for them. 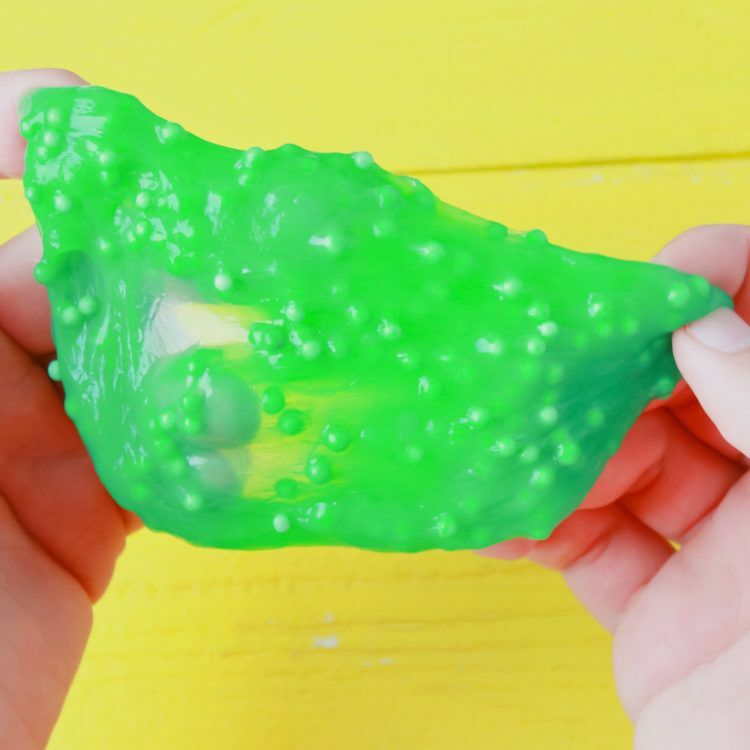 Here’s how to make glue that’s completely edible – every ingredient in it is safe to eat. This paste is used for binding paper and paperboard. Mix all the ingredients except the clove oil together in a saucepan. Cook on medium heat until the mixture is clear and thick. Optionally add your 30 drops of clove oil as a preservative. Store in small jars, so that only a small amount is being exposed to air and dried out every time you open it. Note: if you’re looking for wallpaper paste, I haven’t tested it myself. But both the Corn Starch Glue (#2) and the Library Paste (#11) are recommended. Now you know how to make glue eleven different ways. These should cover most of your crafting needs. I’m looking for a recipe to make my own glue sticks. The one place that sells them locally never has any in stock, so can you help? Failing that, which would be the best recipe here for gluing cardboard, the glue would need to stay wet enough for me to keep using for a few weeks?! Hello!One more question: the arabic gum in powder would work as well? This IS powder. If you follow the Amazon link, it will take you to a powder gum arabic product so you can see what I’m talking about. Question: I need a glue that will dry a little flexible. Will any of these do the trick? I am trying to paper mache onto a flexible surface (fake leather) that won’t undergo a ton of stress, but basic white glue seems to crack off easily. Any ideas? Thabks for all the great recipes! I’m not sure, since I’ve never tried to do a project quite like that. But I think actually one of the waterproof glues might be your best bet? I’m thinking of paperboard plant containers that may last a season then decompose when planted out … like peat pots, for instance. Will any homemade waterproof glue decompose in the ground? In the cornstarch glue recipe, can i replace the corn syrup with sugar water? If no, what substances can I replace it to? You can’t replace it with anything I know of. You’ll have to use another recipe if you don’t want to use corn syrup. If you cannot recommend one of these glues, do you know of a commercial glue which would be safe to use? We’re not qualified to say what’s safe or effective to put on skin. Sorry. “Derived from corn, Glucose Syrup can be used in recipes where corn syrup is called for ? simply substitute one for one”. Could this be used in glue? Golden Syrup (sugar derived) is thick and sticky. Which should I buy to try?